The Early Learning Outcomes Measure (ELOM) is an easy to administer South African pre-school child assessment tool. It is rigorously standardised and culturally fair. The ELOM indicates whether an Early Childhood Development (ECD) programme is effective in preparing children for Grade R, and identifies areas for programmatic improvement. This innovative tool has been developed for government, funders, programme developers, ECD providers and monitoring and evaluation specialists, who need valid evidence of programme effectiveness. The is a population level assessment instrument which can be used as both a programme monitoring and evaluation tool. 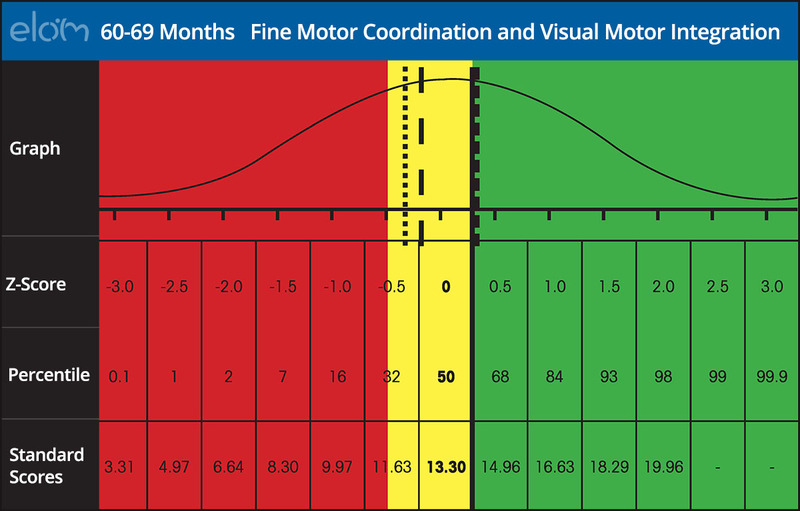 It will help monitor early learning programme outcomes, guide programme improvement, and test programme effectiveness. 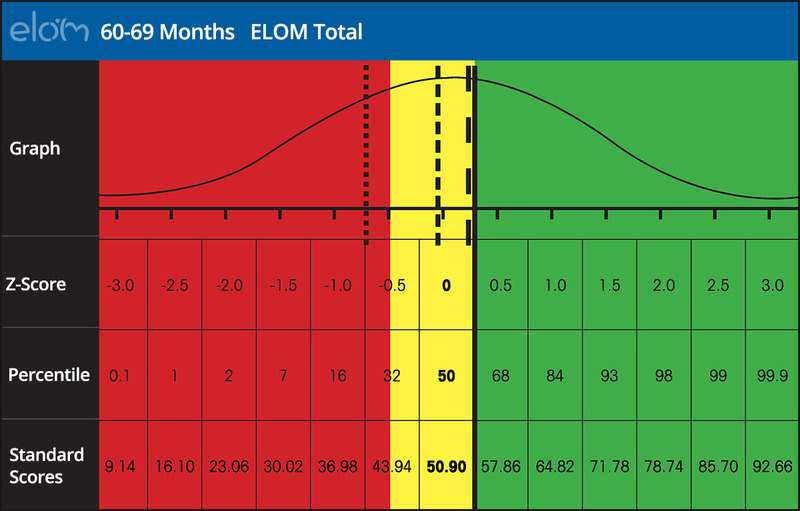 The ELOM provides early learning development standards for each developmental domain assessed. These can be used by programmes to judge their children’s progress. 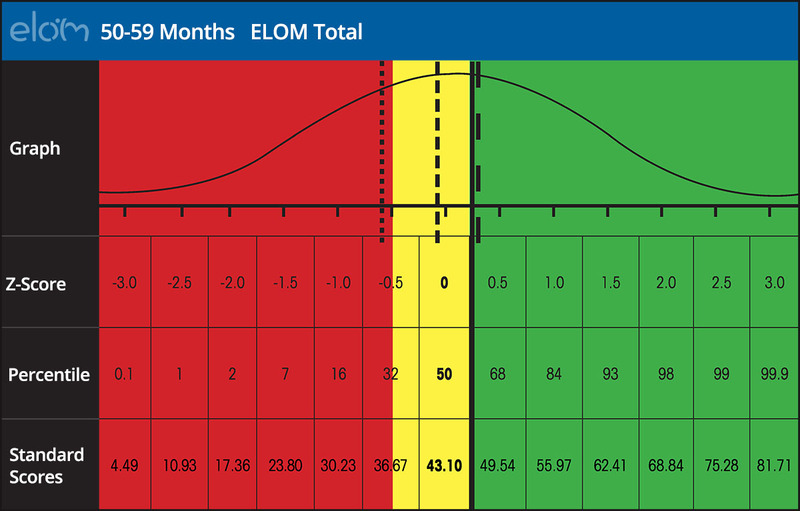 The ELOM also provides socio-economic reference group profiles that enable children to be compared with those from the same background around the country. The graphic to the right provides examples of how the ELOM assists in showing how much early learning programmes have to improve children’s performance in order to reach the expected standard. Children at risk (red) are well below the standard (green) and need significant assistance to come up to the standard, while those falling behind (yellow) are closer to the standard (green), and with support they should be able to achieve it. 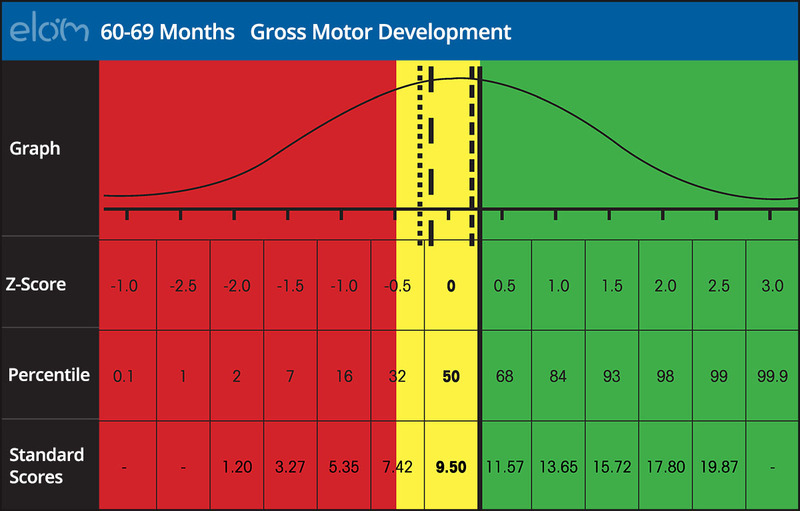 School quintile group median scores are plotted on the graph for comparison purposes: Quintiles 4 and 5 in large dashes, Quintiles 2 and 3 in short dashes and Quintile 1 in dot dashes.